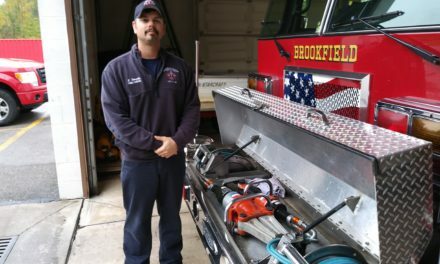 Following a spate of resignations and retirements, Brookfield Volunteer Fire Department reorganized on Jan. 23, refilling its leadership ranks. The volunteers elected Jim Richmond president – he had been treasurer – and Randy Richman, the previous secretary, was named vice president. Matt Rozhon was appointed secretary and Aaron Kasiewicz was chosen as treasurer. 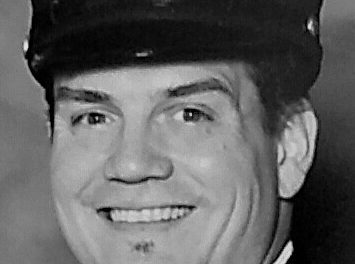 Kasiewicz was re-appointed as fire policeman. The volunteers chose Tim Mosora as a trustee, joining Matt Byknish and Zachary Holmes. “Our newly elected officers will have to get with the previous officers to go over their duties,” Kasiewicz said. The seven members present discussed changes to the by-laws, which department Chief David Masirovits and Kasiewicz said have some outdated provisions. 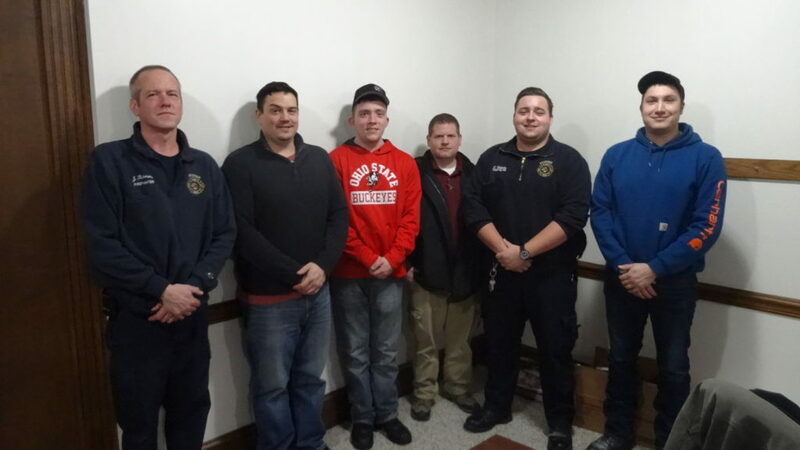 Brookfield Township Volunteer Fire Department officers are, from left, President Jim Richmond, Vice President Randy Richman, Secretary Matt Rozhon, Treasurer Aaron Kasiewicz and Trustees Zachary Holmes and Tim Mosora. Volunteer Matt Lucy asked to change the meeting and training dates, so he and others have a better chance of attending. Richman suggested turning the training schedule over to the chief, who said he is implementing a monthly training program that will build up to a yearly event, such as a practice burn, that would put into practice all of the training of the previous year. The chief also asked the volunteers to fill out time cards anytime they attend training, go on a call, clean trucks or do anything in the community. 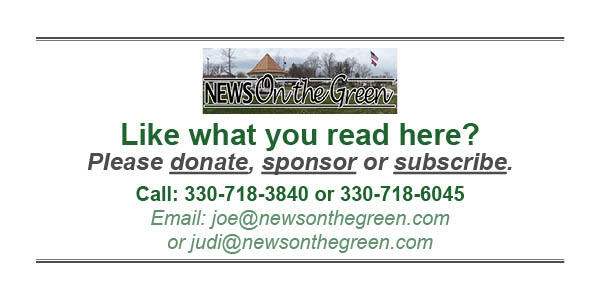 The volunteers can be paid $10 per call, although some members said they would decline any payment. But, Masirovits said tracking the hours is important in other ways. Richmond said he wanted to look at increasing the per-call pay as a way of recruiting new members. Masirovits agreed recruitment is important and said it was something he had talked to the previous volunteer officers about.